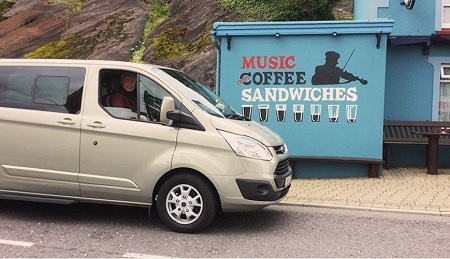 Gene O’Sullivan of Glengarriff Tours offers a customised tour service. With capacity for up to 25 they offer everything from tours for groups to personalised trips for individuals. With knowledgeable drivers and a very flexible service Gene can pick you up at any airport and show you Ireland in comfort.